I was sitting on the side of Grand Teton, with a heavy pack, hurt knee, and a generally tired body when a thin, wiry blonde woman ran by me at record speed. She had a tiny pack with only water and food and she made getting up that mountain look effortless. I had been a competitive runner in another life, but was then just another hiker, defeated by a mountain I would not climb. The girl bounced away and all I could think about was how I wanted that to be me… that one day, I would run the trails, up the mountains, with that same ease. This was my first introduction to trail running, and distance running in general. I had always been a sprinter and had confined myself to the 400 & 800 m distances. After high school, I had stopped running and it would be years before I would return. In reality, I only made it back because climbing mountains is hard and you need to be in wildly good shape to do it. 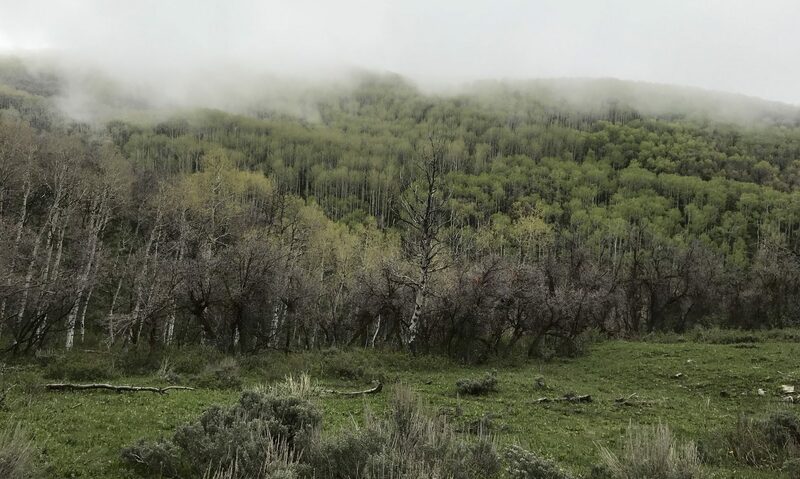 I returned home from my failure on Grand Teton and read all that I could about trail running. I read Born to Run, and Eat and Run and was convinced. Eventually… one day… no matter how long it would take me… I vowed to run trails and ultras. For years, I followed the ultra running scene, never partaking, but just as an idle spectator. As I watched, I would run further and further. The evolution from sprinter to marathoner happens slowly and I took my time. I would sign up for trail runs here or there and usually do really well. My heart was in it and it was where I really felt free. As I ran my first trail half marathon, for the first time I felt like that girl, bouncing down the trails, light on her feet without a care in the world. I ran my first marathon and walked away feeling great. I loved everything about it… the lifetime’s worth of emotions in less than four hours, the real ownership of the race, the fact that it was not easy and I had to work hard to get there. Road marathons are fun, exciting, exhausting, and so many other things… but really, they are not enough. There is something truly special about running through the woods, over hills, while pushing your body as far as you possibly can and maybe even a little further. Trail runs are so solitary, yet you feel so completely connected to nature. That is exactly where I should be. Four years ago, sitting on the side of Grand Teton, I knew that I could run high and far… but I also knew that it would take time. I have been patient, slowly upping my mileage and base and pushing myself to my edge, never passing it. But I will be an idle watcher no more. I have finally decided to put that fire beneath my feet. If the world could go exactly as I want it to, this post would be the beginning of an eventual quest towards the Western States 100, the granddaddy of ultramarathons. I can’t tell you that it will go that way, since they have a lottery process that is tough and I may never get picked. Also, it is 100 miles and I don’t know that I could train up to that. 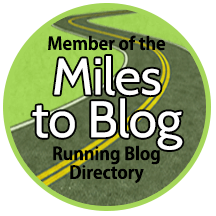 I will tell you that this post will be the beginning of a quest towards a 50K and maybe even a 50-miler. After Chicago, I will transition towards running on trail and on hills. I’ve finally grown tired of watching from the sidelines. So, there it is. I have put it out into the universe. A goal. A dream. It’s a scary one to speak, but really, would it be worth doing if I weren’t scared? The end of the year is a perfect time to reflect on our accomplishments and growth over the past 12 months. As runners, we always try to compete with ourselves for that better time and longer distance and sometimes, it just doesn’t happen. Resolutions come in many forms, and may (or may not) be reachable in just a single year. Sometimes our goals can take an entire lifetime to achieve and those, quite honestly, are the best ones. It’s important that as we approach the end of the year, that our reflections lead to positive thoughts and actions towards ourselves and others. One year ago, I was still recovering from my ankle injury (a full tear to my ATFL), which meant no running for me. I had always considered myself a runner, but I hadn’t even laced up the running shoes in over 6 months. My injury had sidelined my passion and I knew my fitness was suffering for it. My husband and I would go hiking and I would be struggling to keep up (to my defense, he goes really really fast!). I decided that I needed to get back to the trails and begin running again. I hadn’t raced in well over a year, but I felt confident that I could work my way back. My intention for 2014 was to run again, and in the process work up to a half marathon. Did I do it? …Well, kind of. I ran again. I raced again. But I didn’t run that half. In October, when I had intended to run a half, I felt an old injury resurface, and in great wisdom (and a whole lot of frustration), I decided to back off and push the half distance until 2015. So, here I am. I am training for that half and it feels right this time. No pains, no hickups. Maybe 2014 wasn’t the year of the half marathon for me, but it sure seems like 2015 will be. 4. Practice gratitude and appreciation for what is here…always. No matter what life throws. 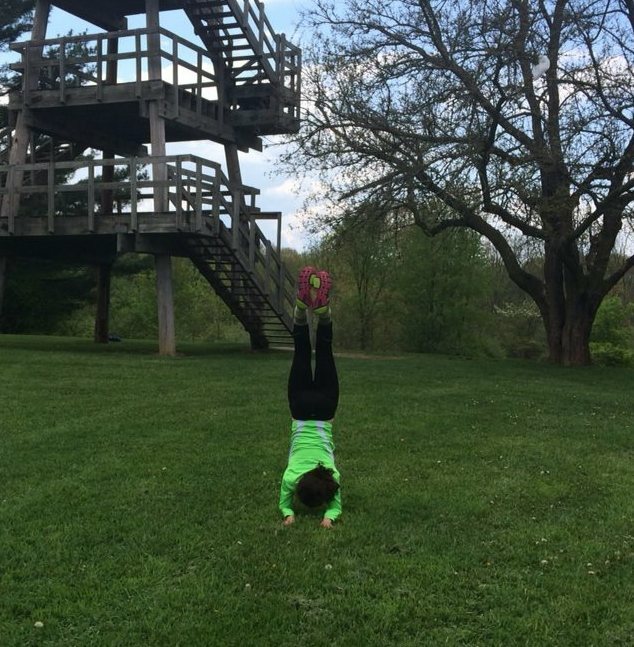 This is me practicing forearm stand, confidently, in my running shoes, when I thought no one was watching. This is a rare occurrence for me. So as you approach the new year, what is it that you intend? Will you approach these goals with positivity even if they fall short? Take the new year as an opportunity. Be positive. I’ll leave you with an affirmation as you reflect.